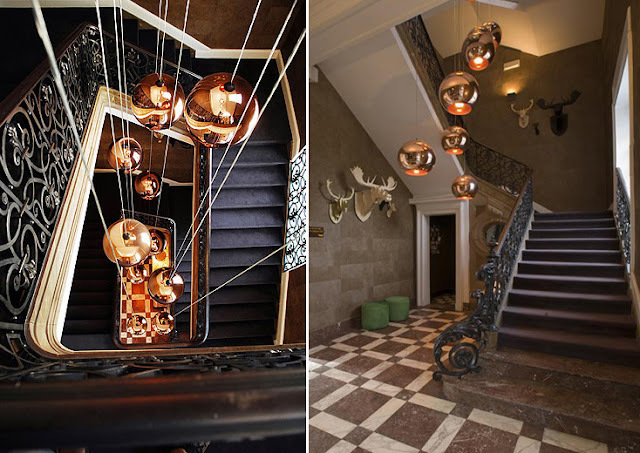 The Copper Shade pendant lights were designed by British designer Tom Dixon. 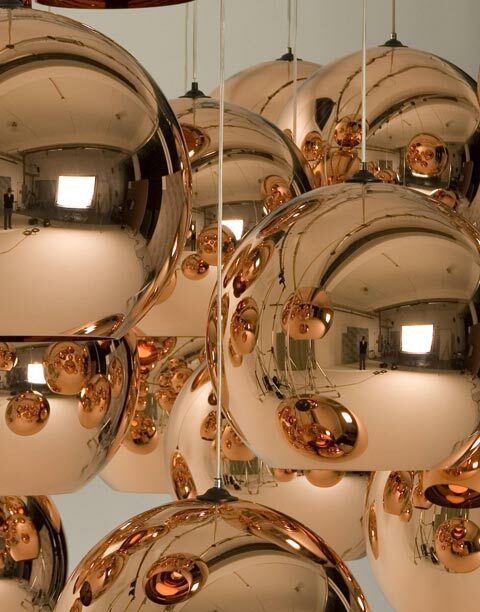 In the Copper Shade Pendant light, Tom Dixon has created a stunning addition to any home, with the unique copper mirror finish that adds light and the illusion of space to any interior. 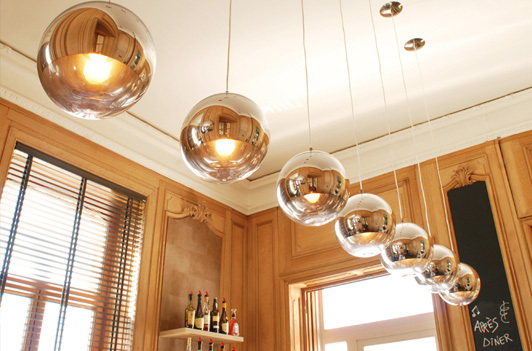 The Copper Shade pendant lights are created by exploding a thin layer of copper onto the internal surface of a polycarbonate globe. 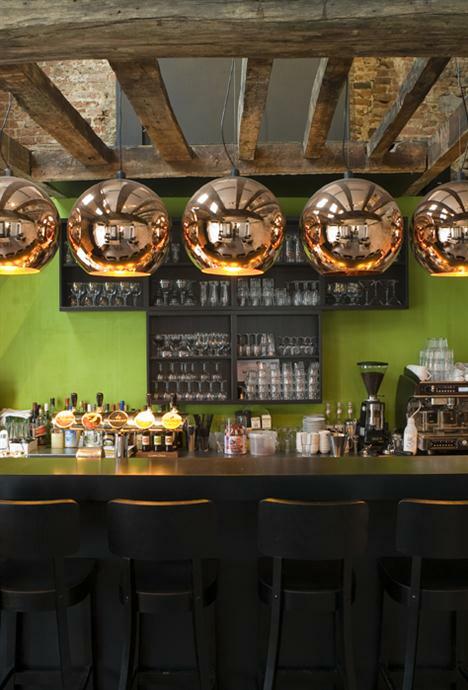 These lamps have become one of the most iconic products in the Tom Dixon collection. 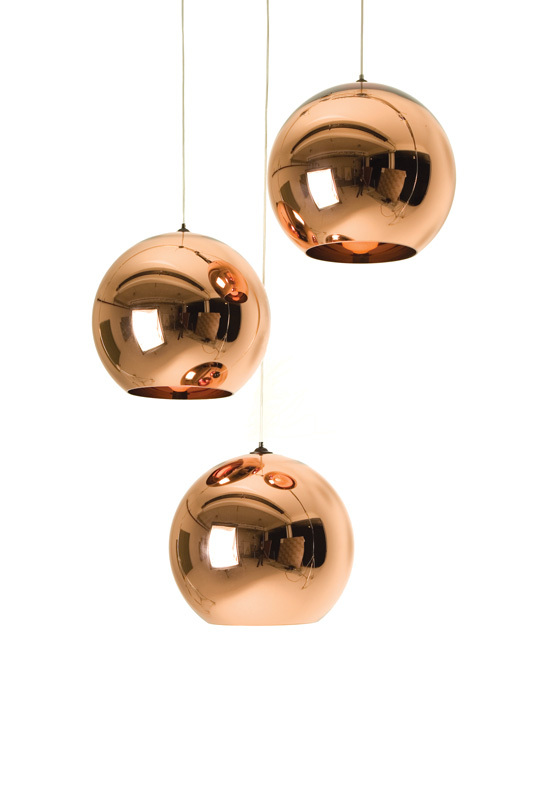 The Copper Shade Pendant lights are visually stunning and just look amazing hung individually or in a group. With its historical position as the first metal worked by man, and its crucial role in high technology and innovation, Copper is being used in applications from solar cells to microwave radiation. By using pure copper as a vacuum metalized film only microns thick on the interior of a polycarbonate dome, we have used it as a means of softening and enriching light sources for domestic and commercial applications. Re-emerging as the fashionable metallic finish of the moment the copper shade brings a minimal sophistication to any interior.